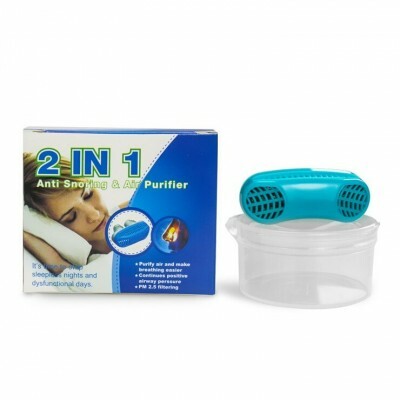 Product Name: 2-in-1 Anti Snoring and Air Purifier Sleeping Breath Aid Nose Clip. 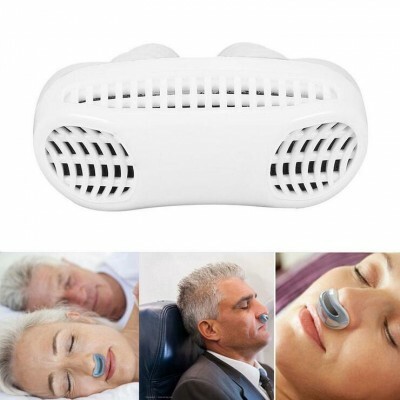 About The Product: SNORE STOPPER FOR INSTANT SNORE RELIEF, BREATHING IMPROVEMENT: Snore reduction vents have been scientifically designed to maximize airflow through the nasal passageways. 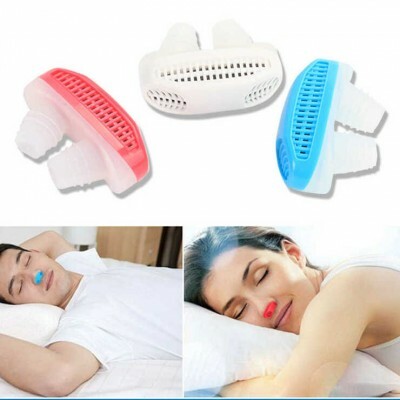 ULTRA COMFORTABLE MATERIAL: The Snore Reducing Aids is made of extremely soft comfortable material for different size of the nasal passage. Sleeping like lying on the spring grassland and breathing the fresh air. FUNCTION: Simply insert the vent into the nostril and sleep quietly. 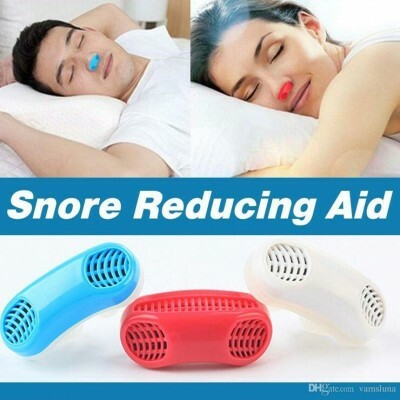 Effective to stop nose snoring. 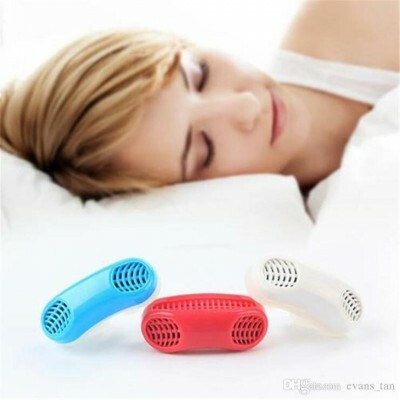 Easy to wear and take down, effective relieve snoring, improve quality of sleep. Not only can it work to prevent snoring but it can also help to eliminate dry mouth at night too. Apply in any situation, indoor, outdoor, etc. Product Specification: Item Type: Sleep & Snoring. 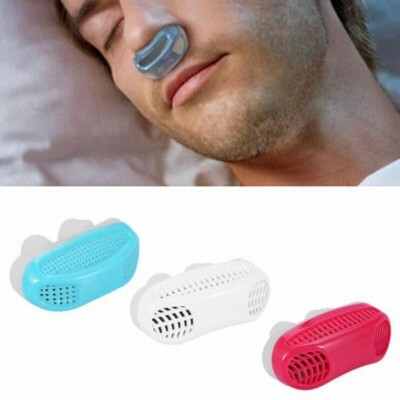 Type: Anti Snore Nose Clip. 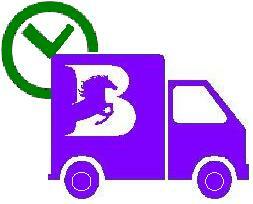 Type 3: Filter secondhand smoke.